This year, Mac decides he will answer the question once and for all. Join Mac Sullivan, Rachel Brenner, JJ, Edgar, and of course, Whiskey, the adorable and adored Irish wolfhound, as they try to uncover the mystery of a long missing girl. As Mac and his team investigate, a dark trail of murder and deception follows. If Amanda Norman is still alive, will Mac's efforts inadvertently lead to her death? If Amanda Norman is dead, who keeps sending the postcards - and why? 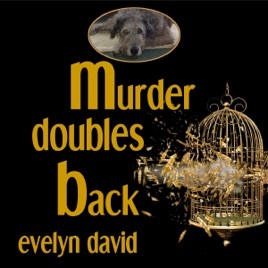 Murder Doubles Back is the exciting third book in the Sullivan Investigations Series.